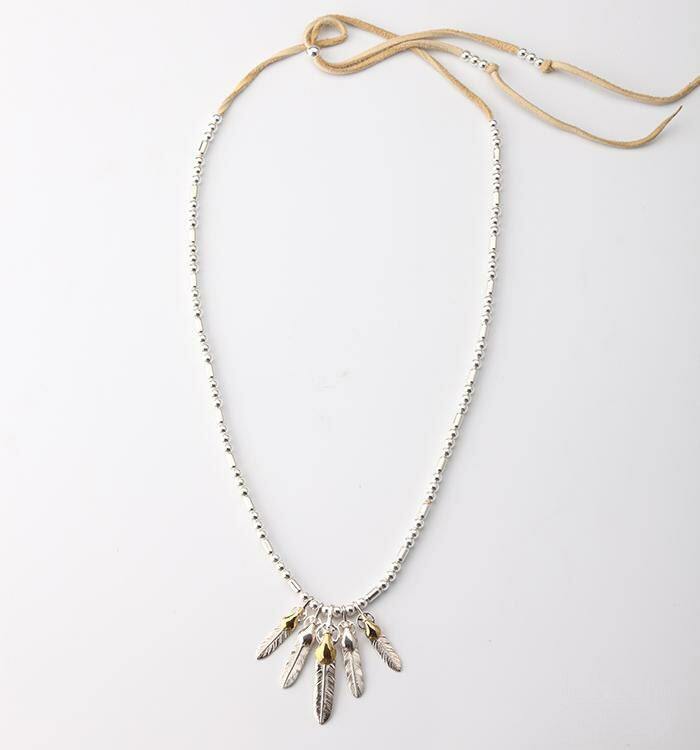 The silver beads necklace is a tastefully crafted tribal-style necklace, inspired by Native American silver jewelry design. Round and long silver beads are arranged on a strong and durable deer leather string. The string is extra long, and overhangs at the top - decorated with more silver beads. 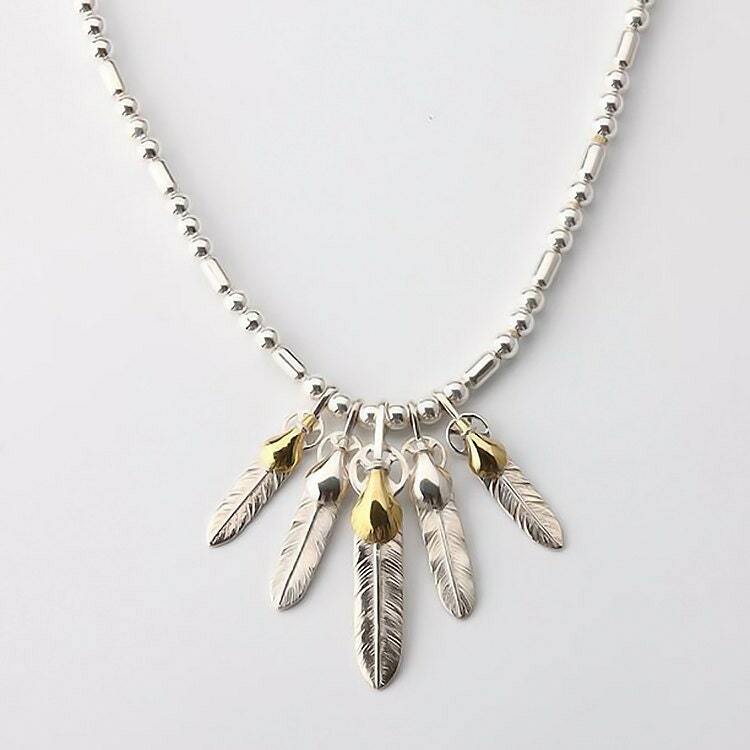 The highlight of the necklace is centerpiece bunch of five silver feather pendants in different sizes. 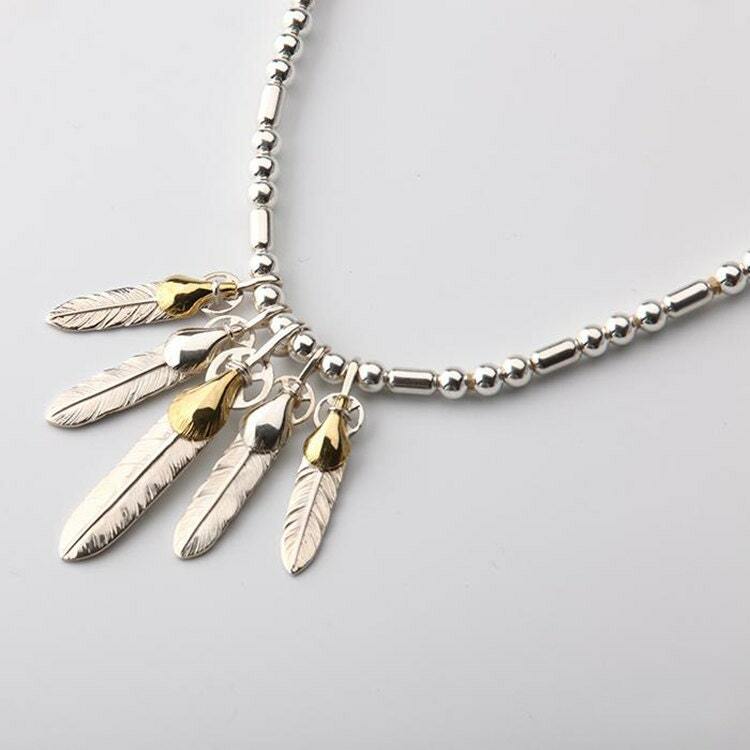 All feathers are combo pendants - each has a smaller feather attached - two in silver, and three in gold (or brass). 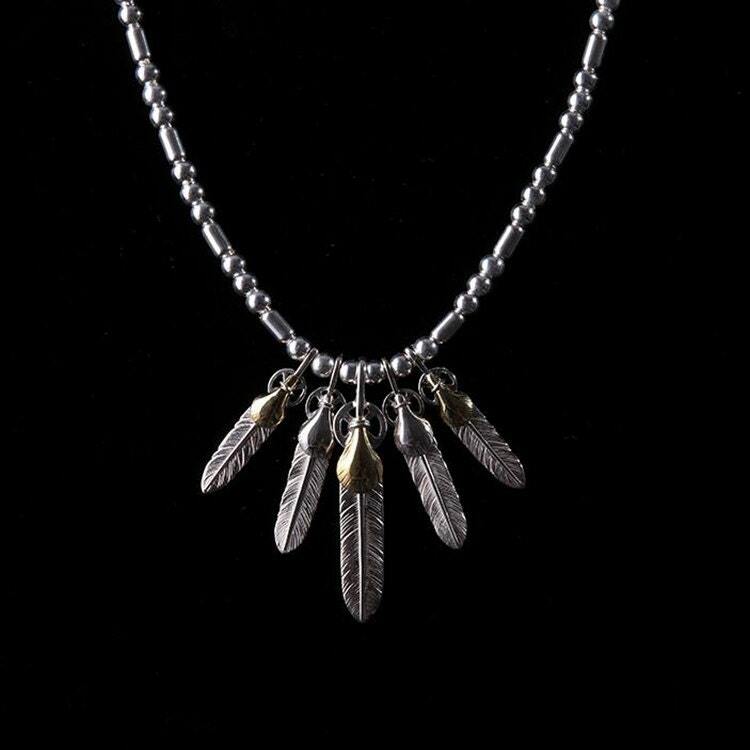 This style of silver feather necklace is a special favorite of Japanese singer and heartthrob - Kimura Takuya, aka, Kimutaku. 925 sterling leather, 18K gold, brass (optional), deer leather.